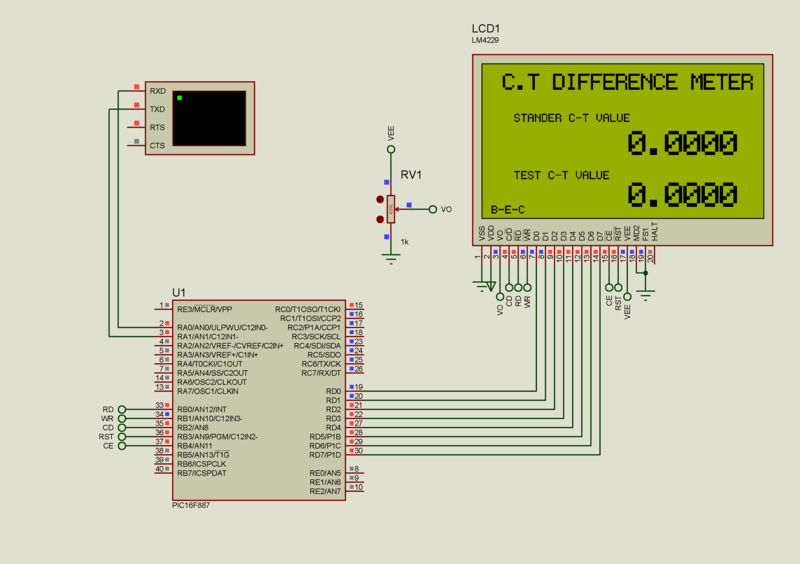 CT difference meter is Microchip PIC 16f887 based circuit with toshiba t6963 based graphics LCD interfacing. This meter will show the readings of TWO different Current Transformer’s output to graphics LCD and let you visualize the difference between standard and newly tested Current Transformers. This will help the mannual Transformer manufactures to test and calibrate their newly made Current Transformer or CTs.